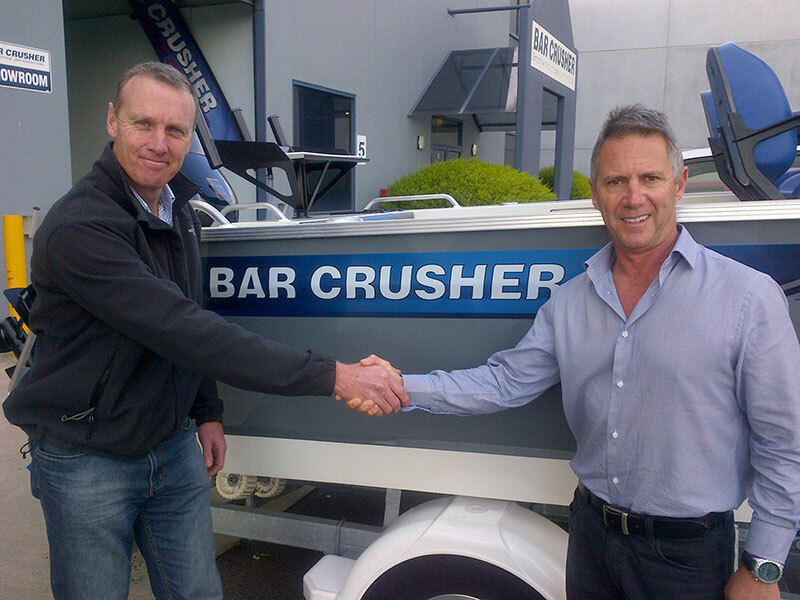 Further strengthening its position as Australia’s premier plate aluminum fishing boat brand, Bar Crusher is now offering Raymarine as preferred factory-fitted marine electronics equipment. Available on every model in Bar Crusher’s award-winning range, the company’s decision follows rigorous testing of Raymarine products in its boats over the past 12 months. Bar Crusher director Peter Cleland said every product used in the boats was carefully considered before it was released on the market – and marine electronics were no exception. “The advanced technology, functionality and durability of Raymarine products is outstanding, which is a great fit with our expectations and those of Bar Crusher owners,” Mr Cleland said. “Our customers like the way the electronics perform – the fish finder [sonar] technology is particularly impressive – and the fact Raymarine has a three-year warranty on Bar Crusher factory-fitted electronics, which is further backed by a national network of certified service technicians to offer an unrivalled level of support. Contact Bar Crusher head office for further information or assistance with Raymarine products.